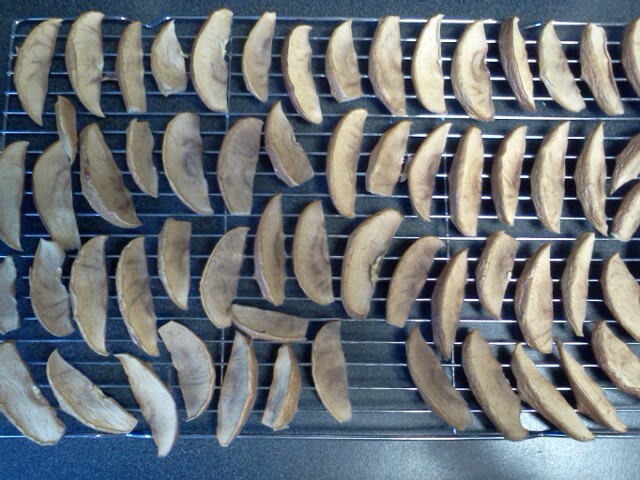 I am making a batch of dried apples this evening. It’s my first attempt. I’m just using the over drying method. I was going to try wrapping the oven rack in cheesecloth, I discovered that water and lemon juice take grease off very nicely! So there went my nice clean cheese cloth. I decided to use my cake cooling wire and lay them out on there which fits quite nicely. I sliced them just under half an inch thick, local apples of a variety I cannot remember, dipped them in a solution of one litre of water and two tablespoons of lemon juice. So far so good. Will post pictures and write of my success or failure in the morning when they are dry. OKAY! I’m back! Sorry for the delay. The recent severe weather has been wreaking havoc on my body. The apples turned out beautifully. Slightly over done but that was because I slept in. Either way they are very tasty and almost gone. I believe they were in the oven for about twelve hours, part of that time the oven was a wee bit too warm. After some poking around I managed to get the temperature as low as possible. 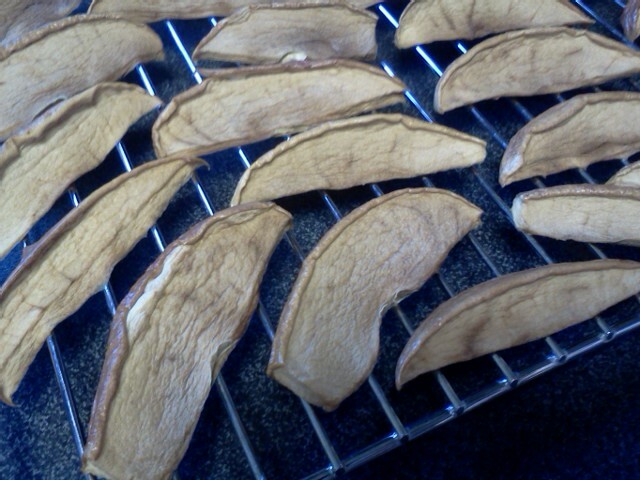 I am trying to think of other fruits I can dry for snacks. Any ideas? As soon as the tomatoes are cheap again I plan on it!